Today’s featured guest is Sam Shelton from Alaska Builders. Just like usual we dive in and explore Sam’s story from the beginning to where he’s at today. However, I do need to say this upfront. Soon after we recorded this interview, Sam wrote to me and told me he had an accident on his job and broke both of this legs. So, he’s been pretty quiet online the past couple of months as he recovers and heals. However, we decided to go ahead and publish his story, because he shared a lot of good insights as we talked. So here is Sam Shelton from Alaska, listen all the way to the end. And be inspired! What do you hope people in your community would say about how you are making a difference? 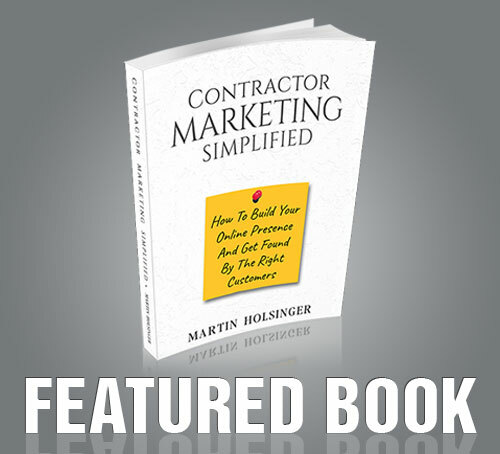 What would you tell a young contractor who is just getting started? We just published a brand new article on the Protractor Blog by Lawrence Winterburn. It’s called: “Qualifying Potential Customers for your Construction Business.” It is a bit lengthy of an article so it would be a good one for you to read on your lunch break. It goes into various proven ways to qualify your potential customers which will help you waste time and resources. It’s a very good article. Check it out today! Vote for us in the contest for best construction podcast of 2018 today! We appreciate it! This is the last episode for this season. We are taking a break here on the audio portion of this podcast while we schedule and record some new guests.